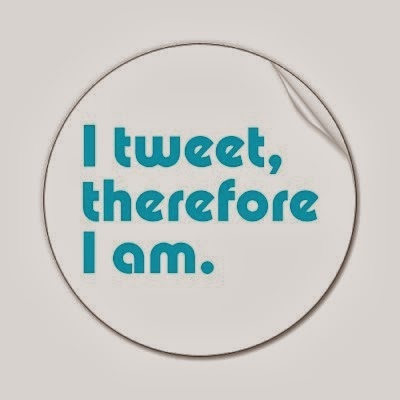 Expand My Thinking: I tweet, therefore I am? At the risk of seeming like a technophobe, let me quickly say that I have both a school and a personal Twitter account. I am on Facebook, Instagram and I manage our school web site. I have a small professional learning network or PLN consisting of people I follow, borrow from and sometimes share information with online. Occasionally, I’ll write something about my work and post it on my blog - this being an example. All of these platforms are interesting and being connected through technology and social media has allowed me greater opportunities to access and consider the ideas of others and reflect on my practices as an educator. I also actively encourage others to use web platforms and social media in their practice. 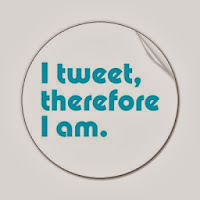 However, tweeting, blogging or even being connected to a PLN does not guarantee my effectiveness as a school principal and the notion that those not actively connected to Twitter or social media are becoming illiterate or obsolete is inaccurate. (Indeed, the proliferation of text and twitter shorthand may be more of a bane to literacy, but that is a post for another time). Canadian Marshal McLuhan wrote "the medium is the message" over 50 years ago, yet it remains as provocative today in the Internet age. Is the content of a blog post, tweet, Youtube clip or Ted Talk video as influential as the medium? Does it have impact on creating transformation in a school? Great teachers and principals spend the vast majority of their day interacting with people in their classrooms and schools, getting to know them as learners and building trusting, caring relationships. Once they have mastered the challenge of presentism and the incredible number of everyday tasks, management duties and short-term thinking and acting, the best principals are looking ahead and leading by engaging and working directly with people in their buildings. The principals I admire most get out of their office and sit in on classes and find time to talk to students about what they are learning and how engaged they are in their classes, yet not in a token way. They demonstrate their belief in establishing a shared vision and a professional learning community at their schools by being immersed in it. They help build a caring community by visiting club meetings, watching games, plays and concerts, participating in socially responsible events and sharing with staff and kids how much they enjoyed their event, performance or efforts. They communicate with parents personally, to express an emerging concern and, also to reach out and tell parents that their teen has shown improvement. They connect with teachers and support staff, every day and in person, by observing them teach and work and by listening to them describe what they are trying to help kids learn and what supports they may need. These principals are more often sitting in on study groups and the meetings of others, to show support, to better understand the work of staff and to participate as an equal, than they are creating agendas and chairing meetings. They spend time getting to know students, staff and parents as people – and once they build trust and develop understanding, they have the courage to ask difficult questions and have crucial conversations when necessary as well. In September, I will enter my 22nd year as a school-based secondary administrator and 15th as principal. I work as hard now as I did then, a have not taught a class in over a decade and while I read, reflect and strive to remain current, this has to diminish my credibility when talking with teachers about the challenges of meeting the diverse needs of learners in their classrooms. The ideal principal should also remain a teacher. If the principal also has the time and energy to reflect and write about their day (and thoughtful writing takes time), more power to them. Certainly understanding the use of technology to augment and hopefully transform learning is an important part of our work, yet, a lot of dedicated, well read, reflective, innovative and caring school-based leaders choose not to make time to blog or tweet. If we're choosing to spend hours every week on social media and this becomes a big part of how principals connect, what are we giving up? Are we meeting enough with the people who most need personal connection and guidance, including our staff, our families or ourselves? After days when I have done more observing, listening, understanding, discussing, questioning, interacting and engaging (and hopefully, smiling and laughing) with people, I feel better about my work and my role in the school. I should be doing more of this every day, in all of my relationships, and less time scrolling through my Twitter feed. Mea culpa - While I use several programs and online platforms, I am not very tech savvy. Certainly some part (a big part?) of posting my writing online satisfies my ego and my need to be published or recognized. I entered the profession with the goal of being an inspiring teacher and I do not pretend to be a 'great principal' as I have lots to learn and improve. However, I hope great principals will never be measured by the number of followers they have on social media.